Back to the topic at hand. 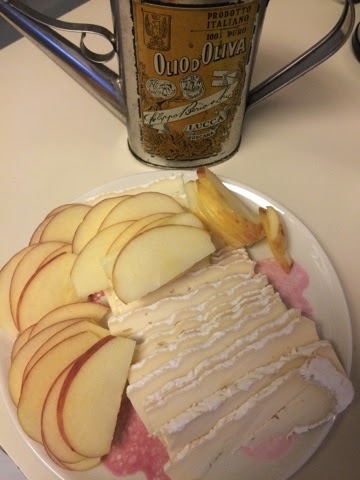 I sliced up the brie and the apple while the onion was slowly cooking in some olive oil and the bacon was cooking away in the microwave. When all the different elements were ready (mis-en-place), it was time to assemble the pizza. We were initially thinking of grilling it but now that we are using a cold fermented dough, it comes out really wet and hard to work with; it wouldn’t transfer well to the grill. I stuck with baking it on a Pampered Chef stone cookie sheet. 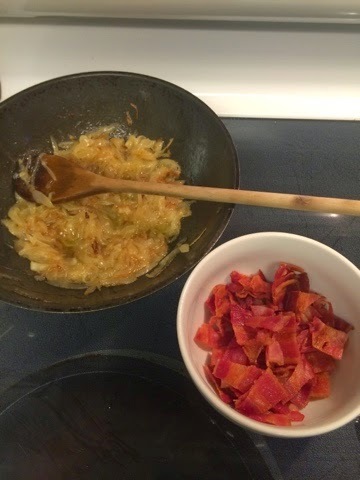 First, I spread out the onion, sprinkling the bacon on top of that. 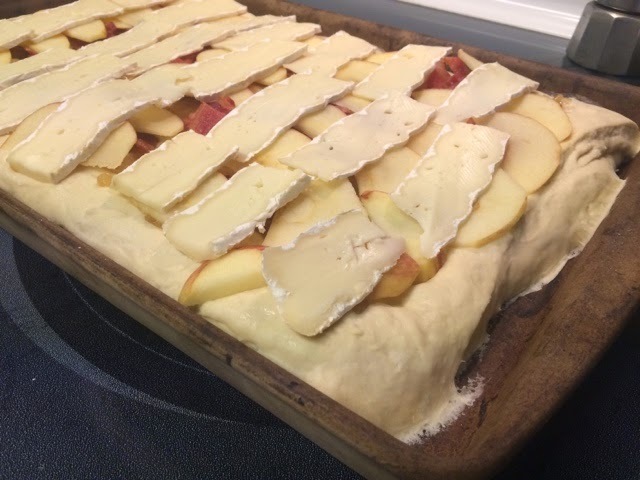 Then I arranged the apple slices and finally, the brie. 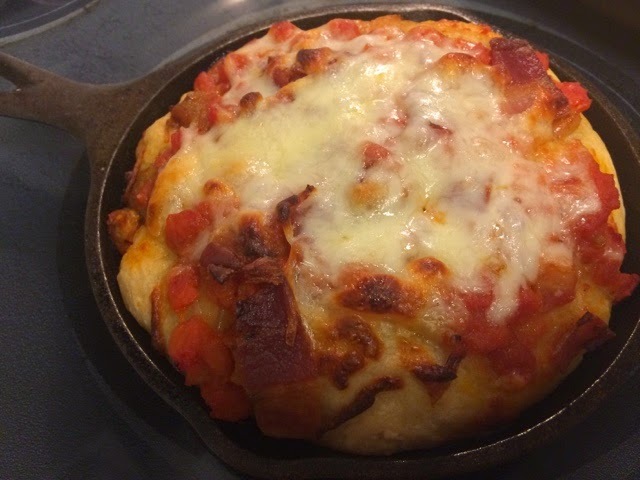 Since I didn’t know if Timothy would like this “fancy” pizza (Annie was at a sleepover), I made a small regular pizza (sauce, mozzarella, bacon and onion) in small cast iron frying pan (picked up that tip recently somewhere but can’t remember where). Personal pan deep dish delish! Both came out beautifully. And tasted really great! 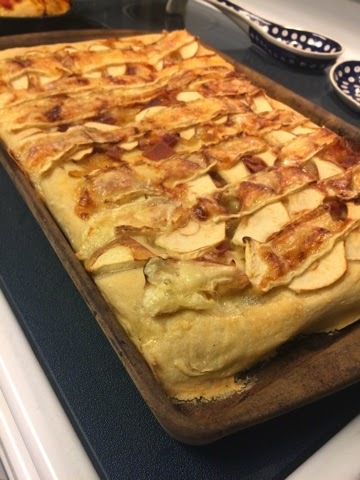 If you follow THM, this is on plan but a crossover since the dough (which was fermented for 5 days) and apple are E and the bacon and brie are S. Plus the onion (E) is cooked in oil (S). Regardless, it was tasty AND on plan! Linking up with Skip to My Lou.